If your flower garden has been looking a little crowded, you may be wondering when is the best time to transplant spring bulbs. 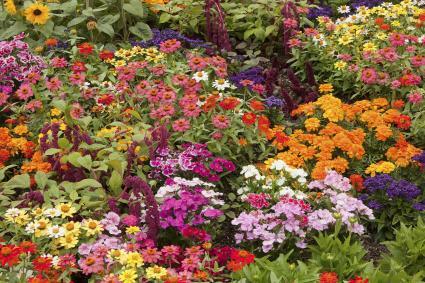 By choosing the right time and transplanting with care, you will ensure you get the most out of the new bulbs and have a beautiful display of early flowers in the spring. When your flower bulbs are enjoying vigorous growth in good soil with a steady supply of water and sunshine, they will eventually start to produce daughter bulbs. These will usually look like smaller versions of the original bulb, growing directly nestled up against the mother bulb or arising from a runner some distance from the mother bulb. For these new bulbs to produce the best quality flowers and enjoy the greatest health, they will eventually need a little space of their own. Carefully moving the new bulbs to another location will prevent over crowding, which can lead to reduced growth and increase the risk of disease and pest infestations. You will know it's time to find a new home for young bulbs when your flower bed starts to look crowded, produces few flowers for the amount of green growth present, or produces flowers and shoots that appear stunted. Giving these bulbs more space will give them a chance to make the most use of resources and produce an abundance of flowers. For most flowers, the ideal time to transplant spring bulbs is in autumn, after the vegetative growth has fully died back for winter. Start preparing a new bed as soon as you decide your bulbs need a bit of thinning, so everything will be ready when the time comes to transplant. 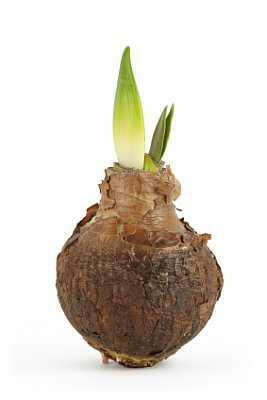 Plan to give your new bulbs lots of space, roughly two to six inches (5 to 15 cm) between bulbs, depending on size. Larger bulbs will need more space, while smaller bulbs can be placed a little closer together. During the growing season, use small seed markers or Popsicle sticks to mark bulbs that need digging, making a note of the flower type on the stick. 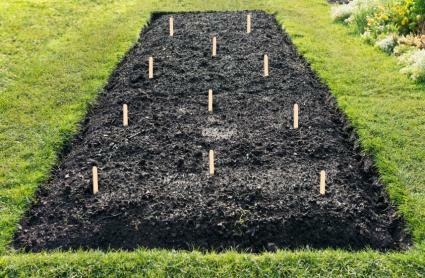 It's a little extra effort, but could save you a great deal of work when digging time comes. Avoid using sharp or metal instruments to dig up your delicate daughter bulbs, as the edge of your tool might damage the bulb. If you don't mind getting your hands dirty, the best tool to use is your bare hands. By employing your sense of touch, you will be able to easily find the small bulbs within the soil and, in the case of bulbs that bud directly off the mother, determine where the mother ends and the daughter begins. Plant the bulbs directly in the new soil, root down, at a depth roughly three times the height of the bulb, and cover with a thick layer of protective mulch. Once you know when is the best time to transplant spring bulbs, you will be able to keep your flowers in tip top shape while amassing an ever-expanding family of springtime beauties. Not every bulb will bloom in the spring, and smaller bulbs might need a few seasons before they reach their full potential, but if you continue thinning and transplanting you will soon have a collection of bulbs any gardener would envy.